If you haven't followed on twitter, well, we have got ourselves another GIRL!!! Whew! I am so glad this secret is finally out. Like our other girls, coming up her name took a very, very long while. I mean what comes after True, Brave, Soul, which almost sounded complete, but obviously wasn't. There was a message we heard one sunday while gathered with our church family, it is what inspired this banner, and ever since then we played with the names Bright, Shine, Light, but nothing felt right. It wasn't too long ago that somehow the word glow popped up and we kept thinking about it. The more we thought about it and its definition, the more we fell in love, and knew it was perfect! Our prayer is that our Glow would possess the light of Christ and shine her light so brightly (Matt 5:14-16). Amorette was the perfect middle name because we got four loves and she is our littlest one! We are all sorts of over the moon in love with this little Glow. True's in love. Brave's in love. And Soul is all-over-kissing-her-everywhere in love too! We are definitely enjoying this very special time. I have got more stories to tell about these past few days, but right now I am going to go back to cuddling. You understand right?!! That's right... now we got a True, Brave, Soul, Glow!!! WOOHOO!! Glow Amorette is a beautiful baby! Congratulations and may God continue to bless you! congrats!!! beautiful name for a beautiful baby!!! hi there! I've been lurking for awhile *hangs head sheepishly* but I just wanted to wish you guys congratulations!!! little glow is gorgeous, just like your other amorettes =) hope you have a speedy recovery, too, ruby! congratulations, so happy for you and your family of six! enjoy your cuddle time, glow is absolutely beautiful. may you continue filling it with wonder and magic. She looks like Soul! Congrats to you all! So so happy that Glow arrived safely!! praise the Lord! ... I love reading the meanings of your girls' names. Wonderful. What a sweet little light! Congrats to all your family! oh wow, how incredibly lucky are you?! she is just so lovely. congratulations to you all. oh i love her!! congrats!!! awwwww!! many congrats! i've been waiting for this post to pop up in my reader :) what a great name.. all the names of your daughters just fit them perfectly. So Glow will too :) love it. Happy family of 6!! I just LOVEEEEEEE your beautiful family of 6!!!! Can't wait to meet you little Glow! Tell us more stories, hehe! She's just lovely :) Well done, momma! she is adorable and her name is perfect!!!! congrats!! she is a beauty like all your other girls! enjoy the cuddle time! Four little girls! How perfect is that. So happy for you... Glow is as beautiful as her name. Oh! I just shed a little tear! She is so beautiful!! And her name is so fitting with the rest of your precious little (?) family. Welcome baby Glow! soooo happy. she is perfect. i'm so thankful for you guys and how you raise your girls to know the Lord. She is so BEAUTIFUL! Her name is perfect! Congratulations, can't wait to hear about the birth! Congratulations!!!! She's so pretty and your name choice is amazing (again). So happy for your family! she is so beautiful! glow is by far the most amazing name i've heard! congratulations! HUGE congrats to you and your beautiful family! Gosh I feel as though I was writing this post just yesterday upon the birth of Soul. So happy for you! Glow is beautiful. What a precious, precious baby girl! Oh, sweet friend, I'm so happy for you six! oh my gracious, she is adorable!!! and i love the name y'all chose... i love all of the names you have chosen, actually! congrats! Congratulations Ruby! Glow is absolutely gorgeous, just like her mama and sisters and I love her name and especially what it means! Blessing from God! He wants your family to have girls. Congratulations. oh my goshhhh sooo cute!!! congratulations!!! my sister Leslie and I were following your twitter yesterday- awesome job, Ben!!! also, on the night you went into labor, i had a dream that you gave birth to a baby boy and named him Bright. IS THAT BIZARRE OR WHAT?!?!?? God bless you and your beautiful family!!! Adorable! Congratulations! Best wishes to you and your precious family! CONGRATULATIONS!!!! I've been eagerly awaiting this blog entry! I've also been curious about the name you'd give to your wee one. Glow...love it! congratulations to your wonderful family. She is LOVELY! Welcome little Glow. Have fun settling in as a big ole family of 6. Sounds divine! What a beautiful doll baby... so sweet! Congrats! Congratulations Ruby! She is a precious. May God bless baby Glow as she begins her journey in this world!!! so excited for this post. the name is perfect. and she is beautiful... of course!! Ruby! Congratulations to you and the rest of your Bratcher brood! This is such an exciting time for you, wishing you all the best from NYC! Have a wonderful time with all your little babes and embrace it! awwwwww! yay! so happy for you and your family! I have three sisters too! So fabulous!!!! Congratulation. Glow is just beautiful. congrats again Ruby!! Cant wait to meet her...!!! She's beautiful...and her name, perfect! 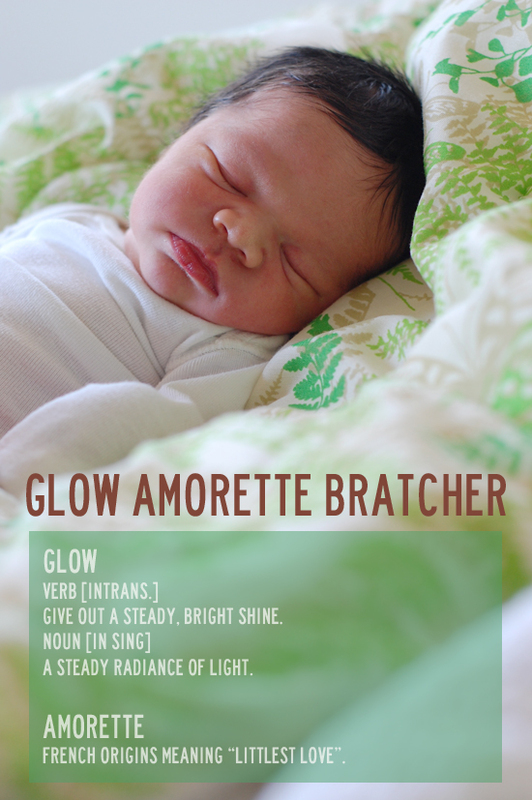 Welcome to the world Glow...and congratulations Bratcher family! I am young but another baby girl!!! What a wonderful gift she is for your family! Wishing all of you much love, joy, and happiness. Wow hooray! I can stop checking your blog so much now. 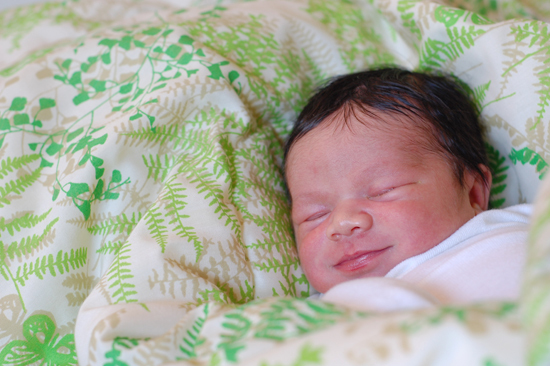 Not sure if you know, but Katy (from blog no big dill) just had a baby boy named Sun. I think maybe Glow and Sun need to meet one day. :) Congrats. Blessings and congratulations you guys!!! Your blog has been an inspiration to me as I have moved through my second pregnancy. I am due any day now and am so excited to see your new one. I have also been studying hypnobirthing in the hopes that it helps my natural delivery plans. Peace, light and love to you all. Congratulations! She is beautiful as is her name. I followed on twitter, but I don't know how to comment there! So I will say here what everyobody has already said God bless your pretty little angel and I am so happy for you! she looks so lovely! Congratulations! So awesome! What an Mighty God we serve! Felicidades again, to your little familia! I squealed when I saw this blog post. Congratulations! She is beautiful, and I love that she is already smiling. congrats!!!! what a sweet girl to round out your family. lovelovelove both names. fantastic!! congrats!! very excited for you! She's so cute! BEAUTIFUL GLOW! I've been following your blog for 2 years now and your twitter from beginning. Congratulations to you, Ruby! Glow is a beautiful name. congrats!! i love reading your blog! A new world-wonder. She's perfect-her name is beautiful. Enjoy this very special time. Wishing you all the love and the luck in the world. oh what lovely news to start the day with! I wish you all 6 all the warmth and peace and happiness. Ben must be the luckiest man around, being surrounded by 5 gorgeous women, I hope he's ready for a life full of cuddles. She looks so cute, and the name Glow - just perfect, on herself and toghether with her sisters! WOW, a girl!! congratulations!!!! she is so beautiful and it matches perfectly with her beautiful name. can't wait to hear her birth story. Many congratulations to you and your whole family. She's perfect. congrats ruby!!! glow amorette is so adorable. i wish i could meet all of you. you're an awesome mom. a warm welcome to you...little glow!!! have a wonderful time here on earth with you sweet sweet family!!! she is soo cute...and i love her name!!! so have a wonderful time of cuddling an kissing!!! She is so adorable. She looks like a mix of true and soul. She's perfect! And so is her name! Congrats! Wooo Hooo - more good work and another gorgeous girl. Congratulations and I hope you all enjoy these lovely early days. Glow - she is so adorable. Congratulations on the gorgeous baby! Welcome to the world, little Glow! precious one, you will bring warmth and light and love into this dark world, because God will be the Light inside of you! Psalm 27. Well done, Ruby and Ben, she is absolutely adorable! Prayers with you! Huge congratulations to you all. She looks adorable, positively glowing!! Glow Amorette, welcome to the world!! You are so precious, and beautiful! Oh, Ruby, may God bless you all, in all ways, with health for everyone, peace, understanding, wisdom, happiness... Glow will sure shine the light of Jesus, her Savior! PS: I was so sure you'd have another girl!!!!!!! Amour et joie...bienvenue à Amorette et félicitations aux parents! Congratulations with your beautiful baby girl! Congratulations on your newest baby-cakies! I love the new name and it is a perfect fit with your family of love and joy and faith. Perfect glow love it adore it ! I was hoping for a girl just to see what adorable name she would be bestowed with ! Congratulations on adding a new little lady to your lovely family. The name is perfect:) I might have to email you when my little ones come around so you can give me inspiration! Congratulations on your beautiful new baby!!! I wish I had twitter, or I would have followed the birth.. looking forward to seeing some posts.. Take care and enjoy your family! Congratulations to the whole Bratcher family!!! One more beautiful girl with such a special and meaningful name. I can't wait to hear all about her. she is just beautiful! and the name... perfect!! you two shouldnt stop here ;) congratulations! cant wait to see a pic of the 4 cakies together! have some rest now mama! you deserve it! Congratulations on the new addition to your family. The name is beautiful. She is so beautiful. I have 3 girls and i LOVE it. Love all the names of the girls. Have a wonderful time! She is so so perfect. Blessings to your family during this time! So beautiful. oh. so. beautiful. 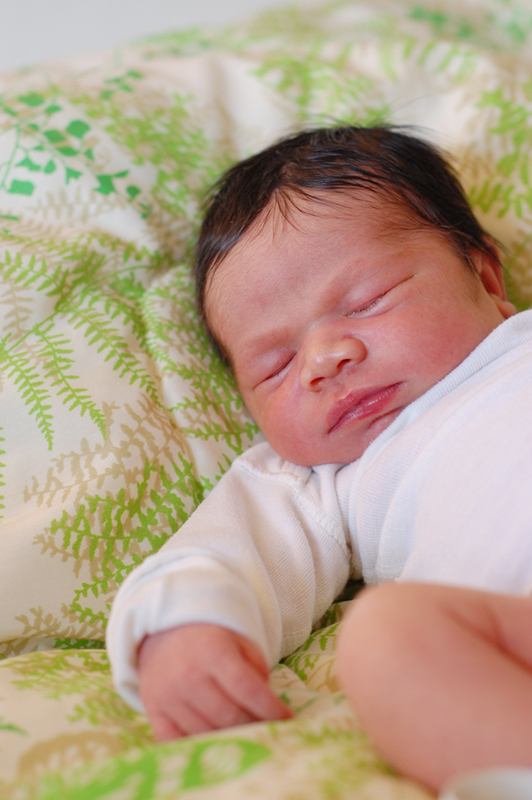 congratulations on your littlest love...make sure you take some time to take care of yourself too. Congratulation to your whole family! Glow is very adorable. Welcome to the world. WOW!!! I've been checking your blog daily for baby updates (and blog posts) and I just squealed with happiness to hear that baby number 4 is here! 4 girls! WOW! We have 2 girls and would love another 2. Wishing you all the best as you adjust to life as a family of 6! Congratulations! As much as I wanted you to have a boy, what could be more perfect that having another girl?? She looks just like True and Soul! Way to go Ruby and would love hear how the Hypno birthing went! So excited for your little girl! How blessed she is to have you all for a family! Love her beautiful name! Enjoy your snuggles! Welcome Glow! Congratulations on another gorgeous little gal! congratulations. I can't wait to hear how the birth went! Congratulations to all of you! She is beautiful! I don't do twitter so I have been anxiously checking your blog every day! I am sooo excited for you and she is absolutely beautiful...just like her big sisters! Congratulations and the name is beautiful! Enjoy these early days! Congrats on your new beauty!!! I love the name and its meaning. Awwwww! So sweet. Congrats to you and your precious family! oh my oh my! what a beautiful child! her name is just so perfect and gorgeous! congrats to you and yours!! what a lovely little blessing, i hope all is well with you and your life just continues to grow and swell with happiness! much love! Awww... She's so cute & adorable! And Glow is the perfect name! Congratulations!!! She is beautiful c: Glow is a beautiful name. I keep coming back to stare at pictures of her! SO IN LOVEEEEEE! You guys are one blessed family! So many girls in one house close in age--I'm sure they'll keep you guys on your toes for years to come, especially those teenage years. :) Congratulations to you and God bless each one of you! Hope the first few months are good to you. She is perfect!! Good job mama!! From the pictures she reminds me of Soul. This makes me want to have another girl. Congratulations!! yay! she is absolutely perfect and precious and i am sure you guys are over the moon right now! love the name too - what a great sentence all 4 make together too! definitely blessed. Congratulations! She is just the most scrumptious looking baby, and her name is so pretty. Congratulations!!! Glow is lovely (in name and person), and I'm glad you're all home safe and healthy! Congrats!!!! and happy babymoon to you all! She's precious! Congratulations to you all! I was waiting and waiting when she will be here and now...wow she is adorable! Six! This is massive! :D Good luck for you all! Welcome to those world little Glow Amorette. Congratulations... love the hair! She is so sweet and pretty! I just wanted you to know how much I send happiness your way! You have such a beautiful family, and that precious, beautiful little girl is going to fit right in. Congratulations, and may God forever bless you! congrats on baby #4!!! you are seriously a super mom!! i LOVE her name and just think it's perfect!! and she is totally smiling in that second pic - too cute! enjoy your cuddle time w/ glow!! awwwww...congratulations on little Glow!!!!!! She is beautiful! You have a darling family! Congratulations on adding to that darlingness! Just beautiful!! Congrats on your newest little one!! Congrats to you and your family! What a beautiful baby...she just radiates! How wonderful! :) Congrats to you all. Finally nice to meet you Glow (pretty name!). Congratulations to all of you!!! Wow! Congratulations! I have followd you for a while now and I feel so exited! I am so happy for you, she is so beautiful! wohoo! And Glow is really the perfect name. She's just precious!!! Congratulations to you and your beautiful family! What a fantastic name! She is beautiful. Congratulations! Congratulations! She is beautiful, as is her name! You may have doubled my baby fever. Glow is absolutely gorgeous-the name and the darling girl! Congratulations! Glow is adorable and her name couldn't be more perfect. Congrats!!! Congratulations with Glow! What a beautiful name. 4 girls, great! congratulations to your sweet family. enjoy the time with your newest little one! Congratulations~been following your blog for about a year now, I love it, good time for comment for the first time! Congrats. Congratulations! I can't believe it's another girl! I'm sure Ben's allright with it. Glow's super lovely! Those cheeks! She's absolutely delicious. And her name...how beautiful. Thanking the Lord for your sweet new babe. aw, i got teary-eyed seeing and reading this. congratulations on your new bundle of joy! i have 3 sisters myself :D.
So happy for all of you!!! Another little girlie! Her name is just beautiful and she is gorgeous...no wonder you can't wait to get back to cuddling. welcome to the world little Glow! Congratulations! another girl! wow! She is so little and perfect!! A big, heartfelt congrats, Bratcher family! Congratulations to you, Ben and the big li'l sisters. She is truly a gorgeous little angel. I checked your blog every day to see if there's no baby yet. Blessings and love to you all. congratulations! what a gracious gift. the pictures are so sweet. God bless you all. Congrataiolations! What a beautiful girl and you managed to find Another gorgeous name! I can't believe HOW BEAUTIFUL and CUTE and AMAZING she is! People like you both should have TEN of these, cause everytime you get one, it's even cuter then the rest... WOW! I love the 6 of you, Bratchers! Welome Glow to this lovely world! Your baby is beautiful! Congratulations and many smiles throughout life! Hooray! I'm a little late to the party, but CONGRATULATIONS to the Bratcher six! You are geniuses at naming. Glow also reminds me of 'gloria' and the importance of giving greater glory to God. What a beautiful prayer this morning! Happy times for you all :-) Hope you're surrounded by love. ps, how did hypnobirth go??? I'm in love too. What a beautiful blessing. Congratulations. Glow is beautiful. May the Light of Christ always be upon her life and through the choices she makes as she grows. Oh My Goodness, she is so Beautiful!!!!!!!!! Congrats from NC!!!!! !